Like humans, dogs can also develop ear infections at times, due to bacterial or fungal overgrowth and earwax build-up in the ear canal. As a result, making use of an ear flush for dogs is very important. The dog feels very uneasy and can show various unnatural behavior. We know that drooping years say a lot about their ailing. The sooner the problem is removed the better for your pet, with that your anxiety is also relieved. 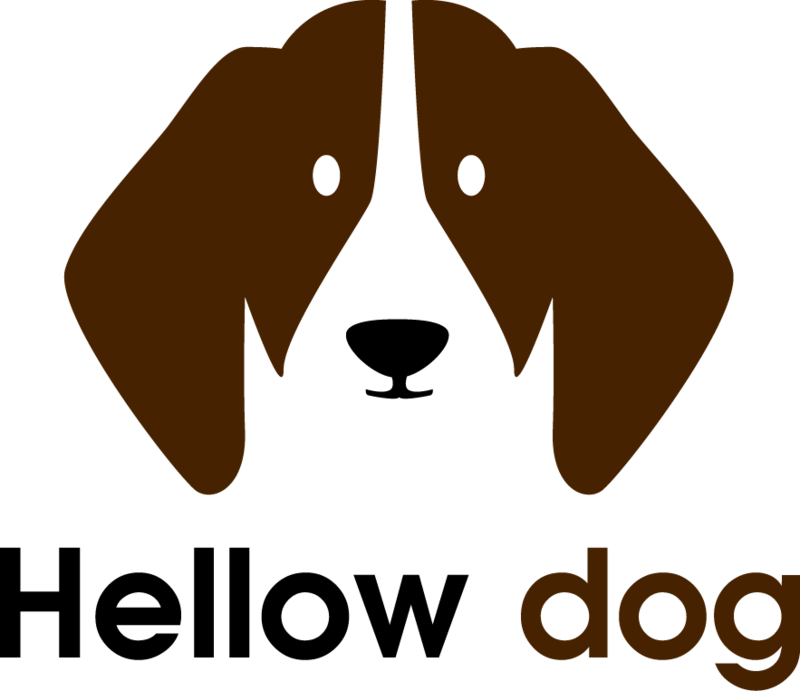 The affected dog usually shakes his head vigorously and scratches the infected ear with his paw, or he rubs against furniture or other objects. Sometimes the dog can tilt his head to the side constantly, in order to get rid of the discomfort and pain. A redness or sensitivity often accompany this condition. Itching which usually makes affected dogs to scratch or rubs their ears frequently. The itching can be an important indicator of bacterial infection or the presence of ear mites. Frequent shaking and tilting of the head as earlier highlighted. Loss of hair around the affected ear. As a result of the fact that there are many possible causes of ear problems, we cannot say if it is a bacterial ear infection by mere observation. The vet doctor may need to use an otoscope to look down the ear canal and determine the amount of inflammation present, or if the tympanic membrane (eardrum) is involved. Ear sponges can be taken, smeared on a microscope slide, stained, and examined for bacteria, yeast, and mites. An adequate diagnosis can also help to determine if this could be a hormonal, allergic, or hereditary problem. If this is suspected, it would be necessary to perform more diagnostic tests. The treatment of canine ear infection usually depends on the underlying causes. 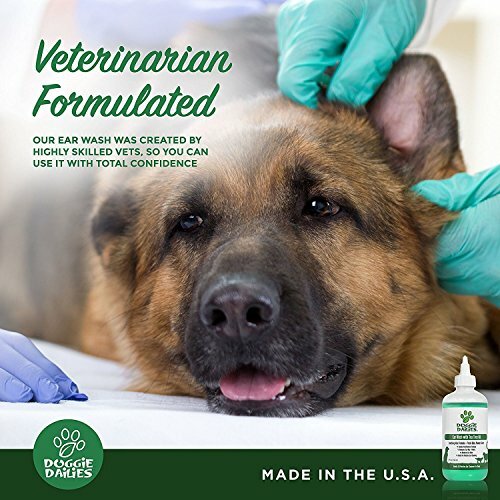 Maintaining correct hygiene and cleansing of the ear with disinfectants and ear wash for dogs can help treat or control moderate ear infections. Also, the ear infection is usually treated by professional Veterinarians thorough cleaning, followed by the application of appropriate medications. For this, the veterinarian would prescribe antibacterial drugs if the underlying cause of the infection is a bacteria. Antibiotics may also be recommended to treat a severe bacterial infection. In contrast, anti fungal drops and ointments are recommended to treat a fungal infection of the ear. 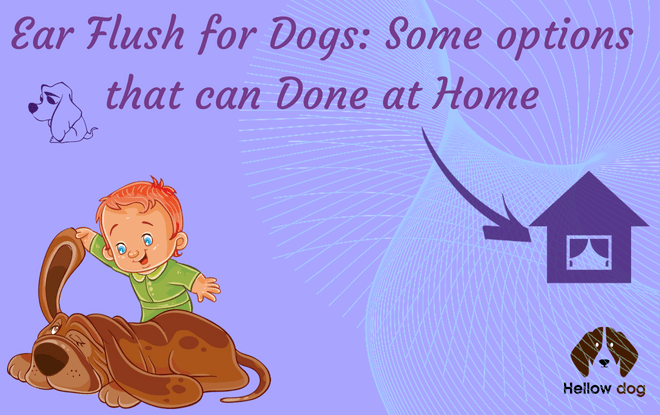 Like all the other routines that we carry out with our dog, we must try to get used to the habit of ear flush for dogs. In this way, they will perceive the act as something natural and ordinary. It is also advisable to form the habit of checking the ears of our dogs periodically. This implies a meticulous observation to detect possible problems and ailments. A healthy ear has a pale pink color and does not give off a bad smell. Before cleaning/ flushing the ears of your dog, you must wash your hands well and have sufficient lighting. 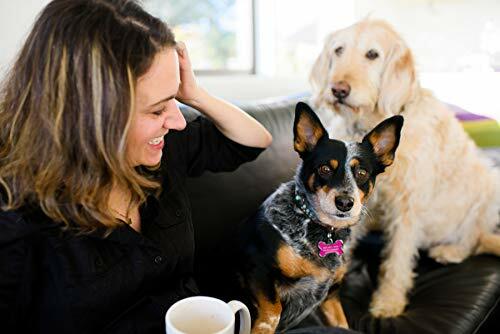 This initial review will tell you how much dirt you are going to find and what part of the ear it is located before going ahead with the dog ear flush procedure. It will as well give you an idea of the size of the inside of your dog's ear. Furthermore, it is very important because the dog's ear is a very sensitive area and you are going to work through it with your fingers. Once the eye inspection is done, go ahead and roll a gauze on your finger and insert it gently into the dog's ear. You must be very sensitive at this point because any sudden movement can hurt them. Logically, if your dog has a small ear, you should use the smallest finger of our hand for this task. And if it has big ears (or is a big breed), you can use any other finger without force. Once you have gently introduced the finger with the gauze inside the ear, make small and smooth circular movements, so that as much wax as possible is stuck on the gauze. Next, remove the finger with the gauze and examine it. If the gauze has some dirt or remains of wax, take a clean gauze and repeat the cleaning in that ear, as many times as necessary until the gauze comes out clean. After that, take a new gauze that has never been used and performs the same task in the other ear. 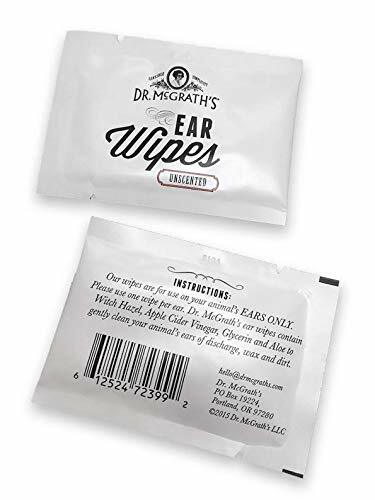 It's important never to use the same gauze on both ears because if one of them is beginning to have an infection, you will probably infect the other. Always use a clean gauze for each ear. The gauze's are very economical and can be bought in boxes of various sizes at any pharmacy. If you do not have a gauze, you can use clean toilet paper that is not rough. Also, never use ear swabs like those humans use because if the dog moves or you do not calculate well with your hand, you could cause irreparable damage such as deafness. Nor should you use cotton or anything that leaves fibers. 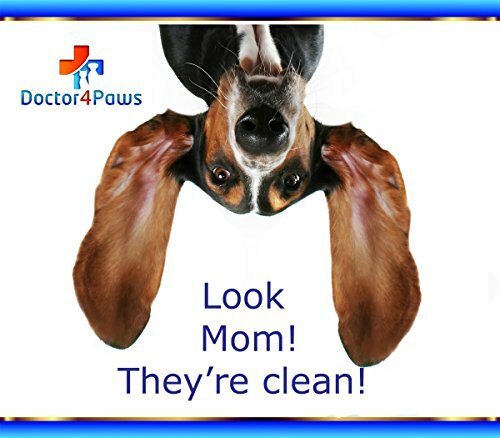 Cleaning a dog's ears can seem like a difficult and sensitive task if you do not know how. Maybe this is even a little disgusting for some. To this end, homemade ear cleaner for dogs such as hydrogen peroxide has been made available so as to ease the process. 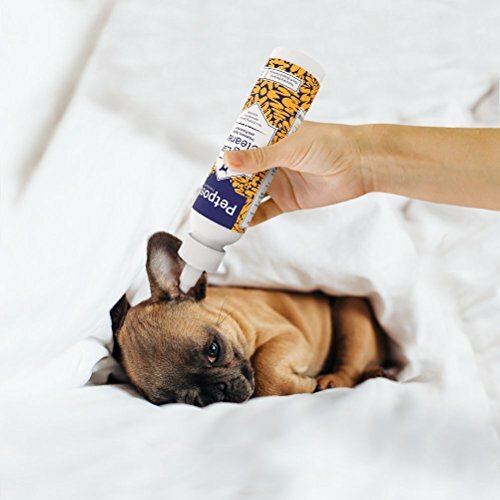 Furthermore, making use of solutions such as peroxide for dogs ears is a very important task because it prevents canine ear infection and diseases. • Take up a little quantity of hydrogen peroxide and pour into a container to let it cool down to room temperature. • This is necessary because the hydrogen peroxide is cold and can damage the ears. 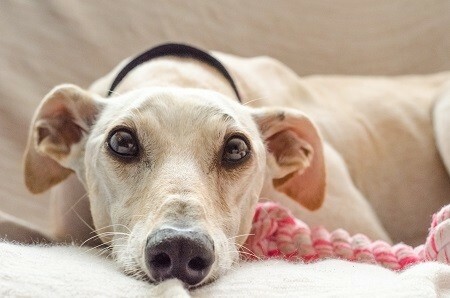 • Once it is warm, use an eyedropper and place about 3-4 drops inside the dog's ear. • Make sure it does not go to the ear canal. • Now bend your dog's ear and massage it properly. • Take a cotton ball and apply the peroxide in excess; then with a cotton swab wipe the outer parts of the ear. • Now let the dog shake out its ears thoroughly. There are several natural remedies for dog ear infections that provide an excellent healing process. These natural remedies are very effective, which ensures that your dog is relieved of the symptoms that are associated with the infection. How to clean dog ears with vinegar is an easy process that we can start with . Apple Cider Vinegar has great antibacterial powers and provides great relief for dogs with ear infections. If there are open wounds in the ear of your dog, go ahead and dilute the apple cider vinegar with clean water. As an important precaution, never apply pasteurized apple cider vinegar to the ears of your dog because it no longer contains the required medicinal attributes. Coconut oil is composed of 90% saturated fatty acids. There are two types of fat, saturated and unsaturated. Within these categories, there are other subcategories, with beneficial fats and others less. Coconut oil is composed almost exclusively of saturated fatty acids, but also medium chain triglycerides(MCT). In addition to this, coconut oil is composed of 50% lauric acid which is a powerful antibacterial. As a result, it eliminates the unpleasant odor from the ears of an infected dog. It also relieves the symptoms of fungal infections when applied to the animal's ears. Mullein comes as a great herb for dogs – and for good reasons, as it tends to calm the pain of earaches and treat mild ear infections. To achieve this, pack some Mullein leaves into a jar, mix with olive oil and let it sit for two weeks. Get out the mixture and apply drops into the ear of the dog. Massage the basal part of the ear so as to make it moist. Clean up all excess drops with soft tissue. Oregano oil contains two powerful phenol's that destroy harmful bacteria and microorganisms. 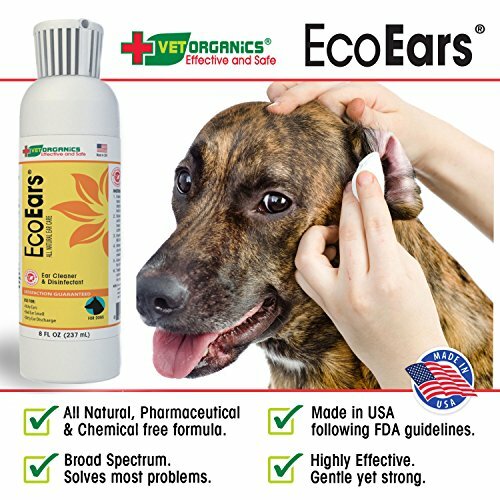 With studies indicating that the power of oregano extends beyond the kitchen, many dog owners are now applying oregano oil as a safe remedy in treating dogs with ear infections. 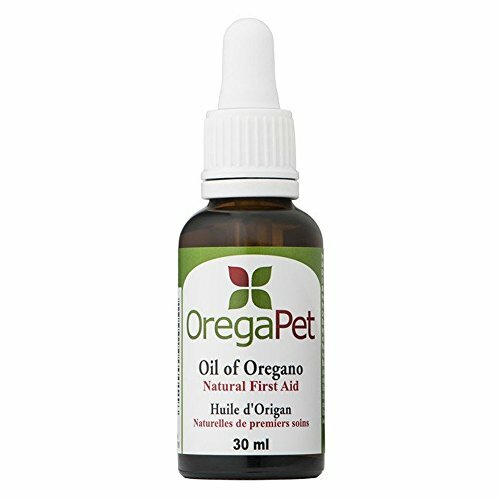 For this, insert a few drops of the Oregano oil into the dog's ear with the aid of a dropper twice a day. 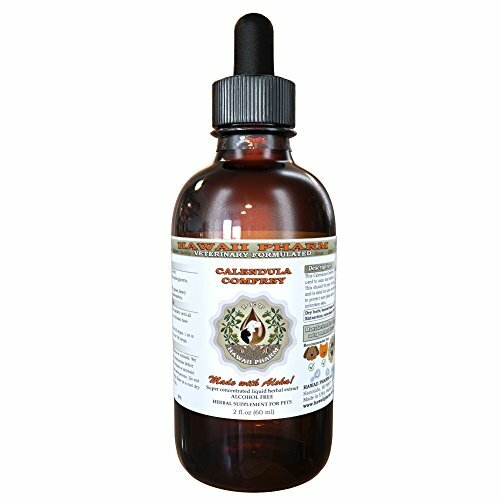 Calendula is the best dog ear cleaner, ear infections through its anti-fungal properties. This miracle product can be found in many natural health food stores. Calendula is best when processed into the ear through drops. It helps to heal the ear infection and also heal any possible wounds. Dogs require much care like humans too. From time to time, your dogs may have diseases, and more often, it's an ear infection. But unlike you, dogs cannot go to the doctor on their own. They cannot go to the counter and buy their drugs. And most likely, they are unaware of the possible complications that could arise if the ear infection is left untreated. It is up to you, his master and owner to take steps for treatment and to prevent other complications like hearing problems from developing. 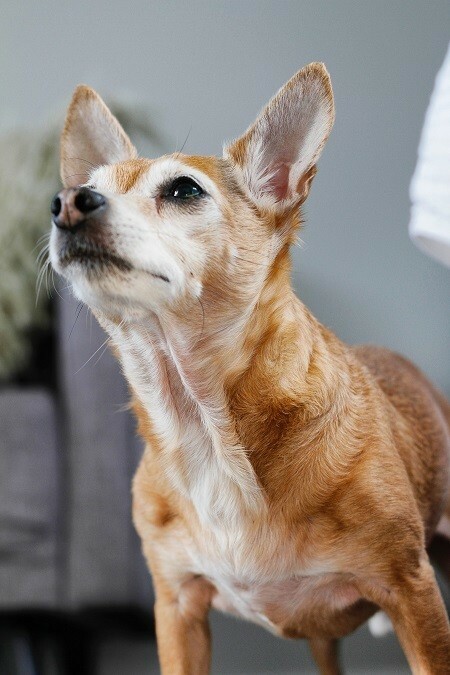 And since dogs cannot access the web for information about the ear infection, it is your job to learn more about this condition and apply all you have learned from the points highlighted above.